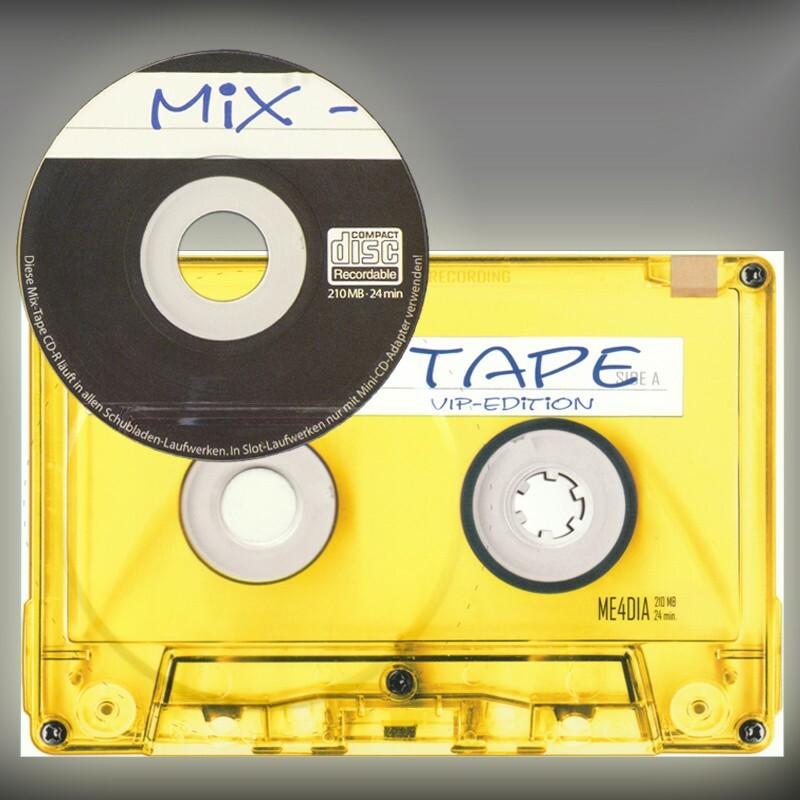 Mix-Tape greeting card with mini CD-R. A special present. Mix it, record it, and make someone happy! It is time for a new Mix-Tape, the coolest music gift card! Today it is quite easy to get good music. A real mix tape is rare. This mix tape M4-Card is our contribution to revive the lovely mix-tape-cassette culture in a modern way. Are you looking for larger quantities or something more individual? Burn your mix-tape music on the CD-R and create a special present for your friends. You can give this special card with handwritten greetings on the backside or mail it. With this card you will create a great memory for a long time.